Welcome to Kids Wall Decor Store! Decorating a boys or girls bedroom, playroom, or nursery? Here at our wall decor store you'll find everything needed to make your walls come alive! From beautiful canvas kids wall art to our amazing array of wall mural stickers, we have something for every children's theme and style. With today's peel & stick mural technology, the walls of your child's room can tell a colorful story! Instantly decorate by selecting from dozens of popular boys and girls themes, from Disney movie and TV characters to amazing animal, dinosaur, and outdoor room designs. Our amazing array of kids wall decor is constantly being updated with the latest designs and the newest in children's wall art. Be sure to check back often for the hottest new boys and girls movie, TV, and themed kids decor! Browse through our beautiful selection of wall art for children. We carry canvas reproductions, colorful giclee prints, and a wide variety of wall hangings made to compliment any kids decor. All girls and boys themes are covered, from animal to airplane, from princess to pirate! 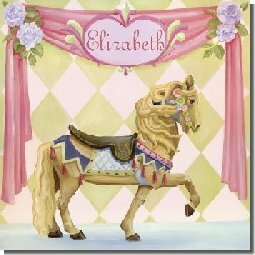 The Kids Wall Decor Store features the finest children's artisans such as Oopsy Daisy and Sherri Blum, with styles ranging from older kids bedrooms to playrooms, game rooms, and even wall art for baby nursery. Many of our most popular pieces can be customized and personalized using your child's own name! This adds a special, personal touch to any kids room that's sure to thrill. Special phrases and sayings are also available on some wall art, so be sure to check each individual piece for details from the artist. Want a personalized piece of kids art sure to surprise your little one? Our custom-created birthday banners are available in every color of the rainbow! Choose from many different boys and girls styles, or even pick a banner that matches the exact theme of your child's birthday party. Watching your little one grow up is a rewarding process, but it always happens too fast! Chart the growth of your son or daughter with any of our personalized growth charts for children. These keepsake pieces of wall art are available in any theme, and they can also be customized, in many cases, with your child's very own name. Use them again year after year, or customize them for any occasion. 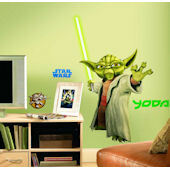 Shop hundreds of incredible wall sticker murals for kids rooms! These peel & stick removable wall decals feature every child's favorite movie and television characters, including Disney Princess decor, Bugs Bunny & Warner Brothers, Sesame Street, Marvel & DC Superheroes, Transformers, Dora & Diego, Spongebob, Ben-10, Toy Story, Cars, Strawberry Shortcake, Hello Kitty, Barbie, and many, many others! 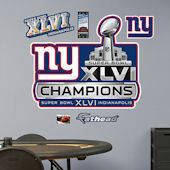 Click Here To See Our Entire Wall Sticker Collection!